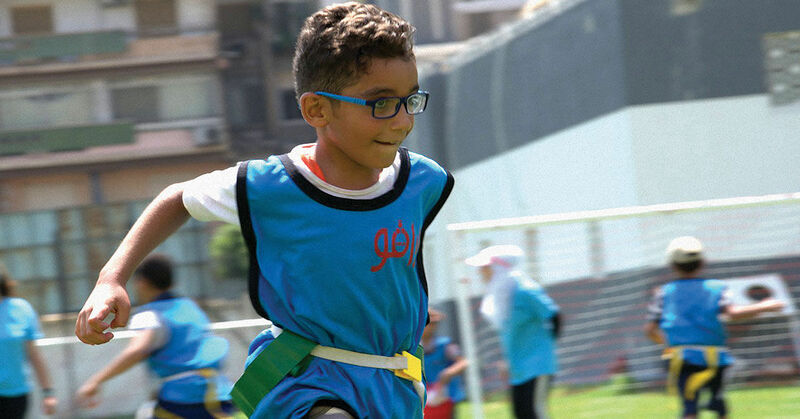 Athletes in Action teams in North Africa and the Middle East have caught the attention of agencies and governments. They’re noticing the quality of our programs, which range from youth soccer camps to adult team-building. More importantly, though, they’re realizing that sport and games can be building blocks to establish a healthy culture and rebuild lives after traumatic events like famine and war. In one country whose government is hostile to the gospel, more than 140 community leaders have been trained to use sports to address societal issues like violence against women. In another country closed to evangelism, hundreds of children attend sport camps and leagues, where they experience the tangible and unconditional love of Jesus. This region of the world - torn by violence and hostile to the Gospel - is open through the platform of sport. People are desperate to experience hope, and Athletes in Action staff stand ready to extend the grace and love of Christ. Because of the personal and community transformation that happens through our programs, government agencies in these closed countries are coming to us for more! We need your help to grow now, so more opportunities won’t be lost. Your prayer and generous giving make it possible to see a day when there’s a Christ-follower on every team, in every sport, in every nation - even those countries whose governments are hostile toward Christ.